Holi is one the most beloved festivals in India..much like the Tomatina festival, only here we play with Holi colours instead of tomatoes. While it is a lot of fun, getting all the colour off your body is a pain. I remember one year someone put a dirty green colour on my body and hair, I spent hours in the bath and for weeks after that whenever I washed my hair, pink colour used to drain out it spoiled the texture of my hair and cut my skin in places. Plus so much of scrubbing of the skin made the texture rough. 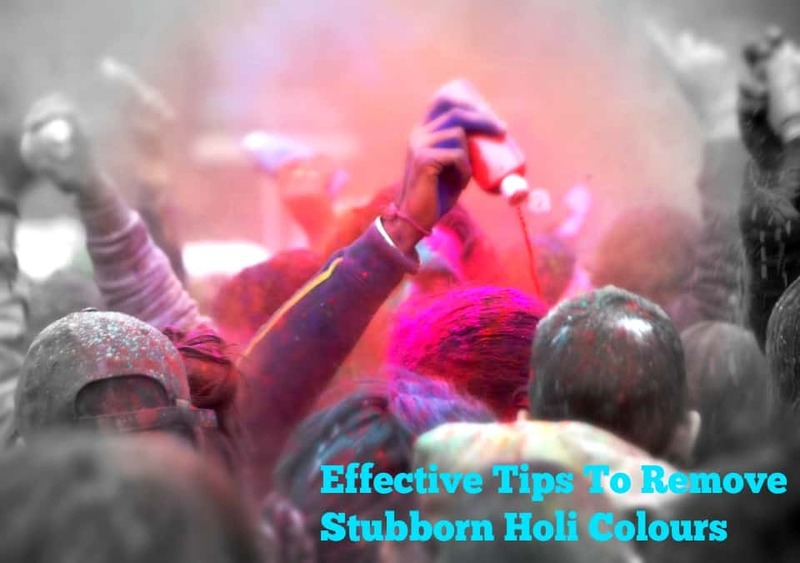 After years of playing Holi, I have found this cool technique which is very effective and makes sure you get those stubborn Holi colours off your body effectively. *Apply castor oil on face and body before stepping out. Coconut oil on hair is also good. The oil forms a protective cover on the skin and hair by closing the pores. *For protecting the nails, apply a dark nail paint. This can be removed after playing Holi. * Every time someone applies wet and tough colour put some more organic Holi colour and dry it. Then pat out as much as possible. Avoid using water to clean. * After you have finished playing and before your bath. Use facial wet wipes ( any good brand) to clean the face and skin ( do not apply water or the Holi colour gets tough to come off). In this step try and take out most Holi colour. * Now use soap/ face wash to clean body and face. * Last step is to apply besan scrub. Take 2 tbsp besan, juice of one lemon, curd and haldi(turmeric powder) to make this scrub. Leave it in for 5 minutes and then wash it off. This nourishes the skin and removes any further Holi colour on the body. *For your hair, use shampoo and a deep conditioner. * After your bath, make sure to apply moisturiser as your skin tends to become dry. * Avoid using exfoliates or bath salts for 48 hours after playing Holi, since your skin will very sensitive. * Do not use steam or sauna for the next three days as well, since the body can absorb remaining colour on your skin, as the steam opens up your pores. For the same reason, avoid any activity that would make you sweat. 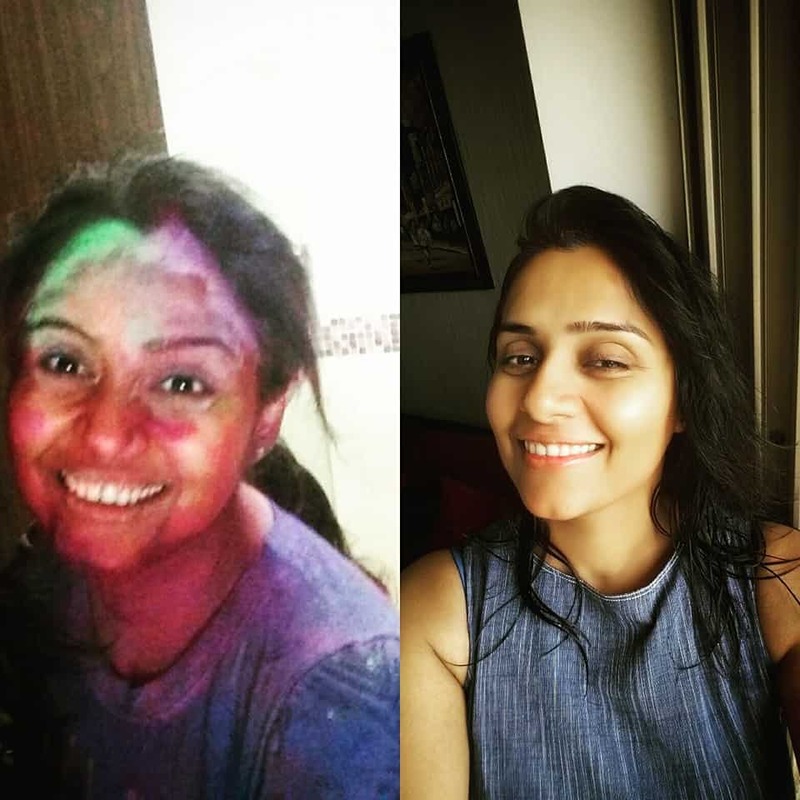 * Going for a skin facial is a good idea post-Holi, but opt for a medi-facial, which is bleach and steam free and avoids chemicals, that too, only after 48 hours of playing Holi. That’s it. Try it out and let me know if it worked for you. I can never remove colours perfectly that is one reason why holi scares me. Will use your tips next time around. Great tips and DIYs Prerna! Hope this helped a lot of people trying to rub the rang off!